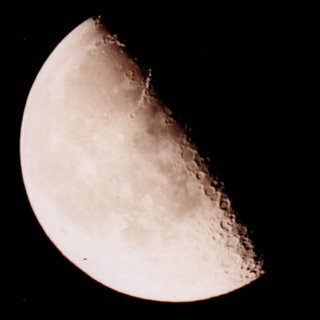 I don't remember the exact history now but clearly I had a number of things in place to shoot bracketed photos of the Moon through the telescope. I also don't remember exactly when I bought my t-adapter. I know I did not buy it when I got the 'scope itself. But obviously in short order I had the Meade t-adapter proper and "PS" adapter ring so to connect the Pentax body, via its screw-type mount. Andromeda was smudgy. Messier 31 (M31). Was very damp with the corrector plate becoming misty. There were many shooting stars. A few artificial satellites. Magnitude test: approx. 60. It seemed clearer early on. Using the SP-C8 with the 26mm (so 77x power) up at Muskoka from 10:04pm on. Looked at Vega. It is blue-white. Looked at Antares, which is red-orange. 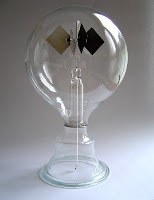 Looked at Alcor/Mizar. White and close together. Arcturus is white-blue. Looked at Messier 103 (M103). A loose faint cluster of yellow, small stars. A couple of shooting stars. The first was from east to west, from Draco to Ursa Major. The second one, a short one, went into Ursa Major from the south. Another east to west through Ursa Major. Saturn! I can see the rings! Wow! The Moon was up at 12:00am, around 10° or so elevation. Faint northern lights, spires, white, glowing rays. Some clouds, cirrus, up high. Andromeda aka Messier 31 (M31) was just a smudge. An artificial satellite went from south-west to north-east. 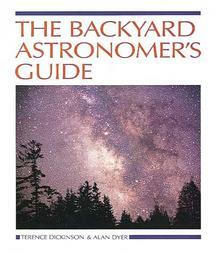 This is a fantastic book for anyone shopping for their first telescope. Sage advice this is still relevant 10 years later. They're big advocates of binoculars too. I believe it was through this book that I first learned about anti-dew methods. And I've used this book to learn how to collimate reflectors. The photographs are inspiring: they're all shot by amateurs.